Well, here we are again, back at the beginning, right where my crazy life as a full-time author began. 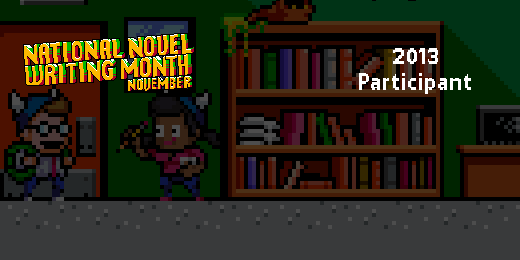 November is National Novel Writing Month and for the next 30 days I plan to write at least 1667 words per day, or double that if possible. It’s kamikaze noveling–Some people go so far as to use a program called Write or Die. I am crazy, but not that crazy–this program forces you to keep pouring down the words or it will make noises at you, and perhaps delete what you have already written. Even without the cattle prod of Dr. Wicked’s little program, I am going to literally spew the words on to paper, and get that novel written. I will not make corrections, I will not go back and redo anything. I will just write it as it falls out of my head. Corrections happen in the second draft, and that is for January. What I have to concentrate on now is writing this first draft, just getting it out of my head. I will not be writing the book I so carefully outlined and planned all last month after all. I will instead be doing a complete rewrite of the book I have been stalled on for the last year, Valley of Sorrows. I had an epiphany last Thursday, and I know what I have to do to make that story live. All I have to do is scrap 70,000 words and start over from a different character’s point of view. But writing is like painting your walls–if you don’t like what you’ve written, change it! 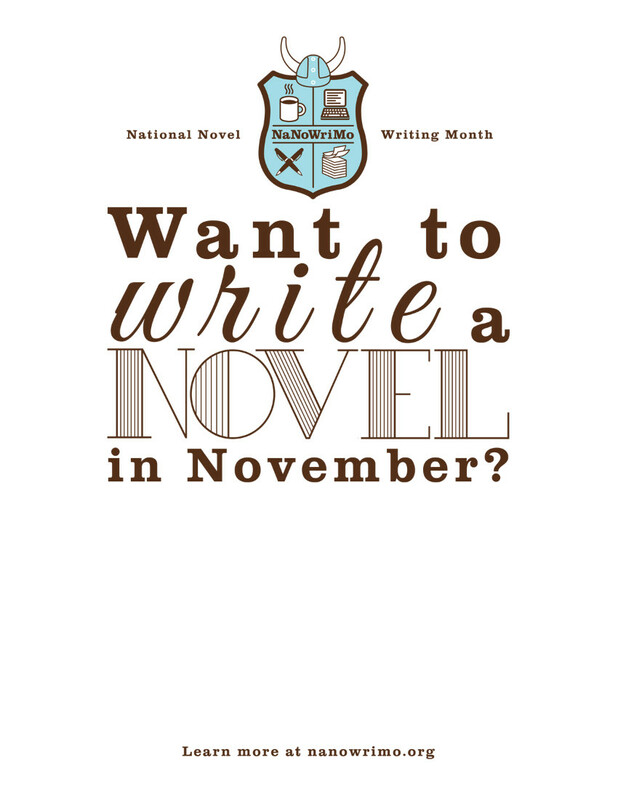 SO, What is this NaNoWriMo all about anyway? The goal of NaNoWriMo is to get people writing, no matter how bad the writing is, through the end of a first draft. The idea is that many people are scared to start writing because it won’t be any good, and if there’s a time to celebrate length, rather than quality, more people will write an entire first draft, which they can then proceed to edit if they wish. The project started in July 1999 with just 21 participants, but by the 2010 event over 200,000 people took part – writing a total of over 2.8 billion words. Writers wishing to participate first register on the project’s website, where they can post profiles and information about their novels, including synopsis and excerpts. 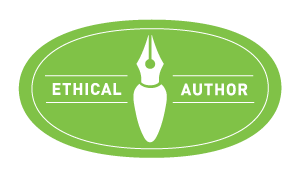 Word counts are validated on the site, with writers submitting a copy of their novel for automatic counting. Municipal leaders and regional forums help connect local writers with one another for holding writing events and to provide encouragement. 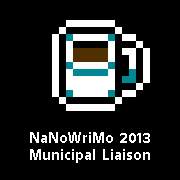 But as for how I became involved in it–a young writer friend of mine in the Philippines whom I had met while writing fanfiction for an RPG gamers fansite talked me into entering the 2010 NaNoWriMo. I was hooked! Now I find myself in my second year as Municipal Liaison for the Olympia Washington USA region, helping 1471 local writers pry that book out of their creative mind and get it on paper. That first year I had no idea what to write, as I had been working on several writing projects for the previous two years. But one night it occurred to me – How does a Hero gracefully retire from the business of saving the world? Perhaps there are so few Heroes that there is no graceful retirement… and then I wondered – how did he find himself in that position in the first place? He had been young and strong once; he must have had companions. Why did he not quit when he was ahead? At that point I had my story. And thus Julian Lackland and Lady Mags were born, and Golden Beau. But they needed a place to live – so along came Billy Nine-fingers, Captain of the Rowdies and his inn, Billy’s Revenge. When I first met Billy and his colorful crew of mercenaries I was hooked. I had to write the tale. Julian’s tale was originally published through a small publisher, and while that didn’t go so well, it was a great learning experience. He is once again in the works with a new title, a new editor, several new vignettes, and a leaner style of storytelling. 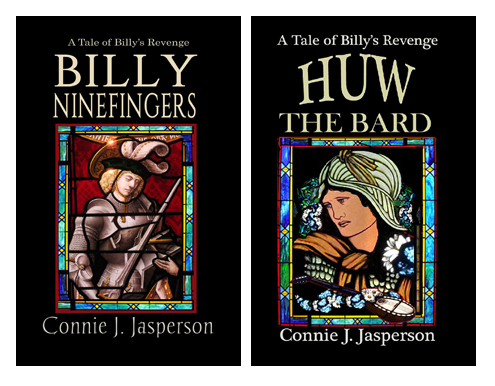 Over the last three years, the characters in Julian’s book spawned two other novels, one of which, Huw the Bard, is in the editing process at Eagle Eye Editors. This year is already starting in an awesome way. I am on fire to get John’s story written, and to bring Edwin and the boys home. Now I know what has to be written and at midnight tonight, the first words go down. I will be sitting in a 24 hour restaurant with some of our other WriMos, at our 2nd annual “First Hours of November” write-in. We will drink coffee and write, write write. I will stay there until the sun is up, writing this wonderful story with 6 or 7 of my new best friends. I would think “kamikaze” writing would be when you dive bomb someone else’s manuscript with your words, thereby ruining the manuscript. When I was teaching composition in a computer lab years ago, when a student would leave pretending to go to the restroom but actually to use the cell phone, I’d dive bomb their writing on the computer they left open, adding extra text or changing all of the vowels to numbers. @Stephen – that is an idea. Where will you be sitting? thanks so much Connie! for your never ending words of advice and encouragement!